Banks, Non-bank financial institutions (NBFIs), & General Insurance sector represents the most important parts of a financial system. In Bangladesh, NBFIs are new in the financial system as compared to banking financial institutions (BFIs). Credit rating is an assessment of the creditworthiness of an individuals or firms or it securities which is generally conducted by an independent credit rating agency. It measures the probability of the timely repayment of principal and interest of a bond. We have tried to analyze the credit rating system of Banks, NBFIs & General insurance Company in Bangladesh. And then we analyze the credit rating of IFIC Bank Ltd., GSP Finance (BD) Ltd & Agrani Insurance Company Limited. For this purpose we have done some analysis here. Credit Rating based on Regression model. And finally we have tried to show the creditworthiness of the company. After analyzing all aspects of these three sector industry, we have assigned rating what should be awarded. Non-bank financial institutions (NBFIs) represent one of the most important parts of a financial system. In Bangladesh, NBFIs are new in the financial system as compared to banking financial institutions (BFIs). The NBFIs sector in Bangladesh consisting primarily of the development financial institutions, leasing enterprises, investment companies, merchant bankers etc. The financing modes of the NBFIs are long term in nature. Traditionally our banking financial institutions are involved in term lending activities, which are mostly unfamiliar products for them. Inefficiency of BFIs in long-term loan management has already leaded an enormous volume of outstanding loan in our country. At this backdrop, in order to ensure flow of term loans and to meet the credit gap, NBFIs have immense importance in the economy. In addition, non-bank financial sector is important to increase the mobilization of term savings and for the sake of providing support services to the capital market. Building a sound financial system is an immense necessity for the economic development of a country. The main task of the financial system is to mobilize funds from the surplus budget unit to deficit budget unit. Financial system provides a strong mechanism for collection and allocation of financial resources among the various alternatives. However, in a developing country like Bangladesh it is very hard to reach in a sound financial system due to the lack of to ensure discipline in the financial system. For these reasons, careful assessment of the financial system is necessary to determine about which features of the financial system are basic and which features are secondary and the types of institutions that are essential in the process. Actually, financial system is decomposed of into two basic types of institutions. One is the banking financial institutions (BFIs) and the other is the non-banking financial institutions (NBFIs). These two financial institutions are different in respect of their activities and treatment of the assets and liabilities in the financial market. For a well functioning financial market along with the BFIs, NBFIs have an important role to uplift the economic activity. These two financial sectors can simultaneously build up and strengthen the financial system of the country. This paper analyses the importance and roles of NBFIs in developing economy of Bangladesh. Our study is confined to 25 NBFIs who got license from Bangladesh Bank up to 2001 under the Financial Institution Act-1993 and Financial Institutions regulations –1994. The NBFIs sector in Bangladesh consisting primarily of the development financial institutions, leasing and investment companies, insurance industries, and the corporate debt market account for only around 4% of the financial system. Development of the NBFIs in a sustainable basis contributes to the speed and efficiency of the financial system. The necessity for the development of NBFIs could be best judged with the following issues. v Firstly, the NBFIs are markedly different from the banking institutions and with different phenomena. These two kinds of financial institutions are complementary rather than substitute organs in the financial system. Existence of banking and non banking financial institutions, money market and capital market keep the financial sector complete and enhance the overall growth of the economy. v Secondly, there is a maturity mismatch in the sources and uses of funds their definition is unsuited for long term lending. Inefficiency of BFIs in long-term loan management has already leaded an enormous volume of outstanding loan in our economy. However, with the present status, expertise and efficiency, the NCBs are barely able to serve the future investment demand of the country. Private commercial banks are less experienced and less equipped in this regard and they would not take the load or be able to take future challenges of term lending of the country. At this backdrop, in order to ensure flow of term loans and to meet the credit gap, development of NBFIs is a compelling necessity for the economy. v Thirdly, sophisticated and well-developed capital market is considered as the hallmark for a market economy worldwide. Although our country is moving toward a full market based economy, capital markets are still in infancy. This is due to lack of requisite institutions those are needed in the system. In the last twenty years there has been a tremendous growth worldwide of non-bank financial institutions to provide support services to the capital market. These range from broker dealer to investment banker. The health of the capital market is largely relied upon the health of the banking and non-banking financial institutions. The key players are the non-bank financial institutions in the development of the capital market. For the credit rating of GSP Finance Ltd. we have considered the guidelines provided by our course teacher. Credit rating is “an objective and impartial opinion on the ability and willingness of an issuer to make full and timely payments of financial obligations.” This opinion is conveyed in a simple alphanumerical scale, for easy reference and comparability. Rating is essentially an opinion. Here we have also give our opinion within various limitations. For this purpose we have analyzed both the qualitative and the quantitative factors of the banking industry as a whole and also various factor of GSP Finance Ltd. itself. In the part of qualitative analysis we have analyze the industry risk, keys to success, diversification factors, firm size, management quality, quality of the financial reporting, performance in the industry. In the quantitative analysis we consider the profitability, cash flow adequacy, capital structure and financial flexibility. We have assigned some points on both the qualitative and quantitative information to get the exact rating. As for the sustainability of an organization both the quality of the management and quantitative figure that means company’s financial performances are equally important we have assigned equal weights for bother he qualitative part and quantitative part. Our ratings are based on the mostly to historical data which have been adjusted for future looking and we assume sustainable normal business condition. Nonetheless, changing conditions, new complexities and risks which may emerge could affect the assigned ratings. As such, changes in ratings can happen after the initial assignment. AAA Triple A (Extremely Strong Capacity & Highest Quality) Financial Institutions rated ‘AAA’ have extremely strong capacity to meet its financial commitments. ‘AAA’ is the highest issuer credit rating assigned by CRAB. AAA is judged to be of the highest quality, with minimal credit risk. AA1, AA2, AA3* Double A (Very Strong Capacity & Very High Quality) Financial Institutions rated ‘AA’ have very strong capacity to meet its financial commitments. It differs from the highest-rated financial institutions only to a small degree. AA is judged to be of very high quality and is subject to very low credit risk. A1, A2, A3 Single A (Strong Capacity & High Quality) Financial Institutions rated ‘A’ have strong capacity to meet its financial commitments but is somewhat more susceptible to the adverse effects of changes in circumstances and economic conditions than financial institutions in higher-rated categories. A is judged to be of high quality and are subject to low credit risk. BBB1, BBB2, BBB3 Triple B (Adequate Capacity & Medium Quality) Financial Institutions rated ‘BBB’ have adequate capacity to meet its financial commitments. However, adverse economic conditions or changing circumstances are more likely to lead to a weakened capacity of the obligor to meet its financial commitments. BBB is subject to moderate credit risk. They are considered medium-grade and as such may possess certain speculative characteristics. BB1, BB2, BB3 Double B (Inadequate Capacity & Substantial Credit Risk) Financial Institutions rated ‘BB’ are less vulnerable in the near term than other lower-rated financial institution. However, it faces major ongoing uncertainties and exposure to adverse business, financial, or economic conditions, which could lead to the obligor’s inadequate capacity to meet its financial commitments. BB is judged to have speculative elements and is subject to substantial credit risk. B1, B2, B3 Single B (Weak Capacity & High Credit Risk) Financial Institutions rated ‘B’ are more vulnerable than the financial institutions rated ‘BB’, but the obligor currently has the capacity to meet its financial commitments. Adverse business, financial, or economic conditions will likely impair the obligor’s capacity or willingness to meet its financial commitments. B is considered speculative and weak capacity and is subject to high credit risk. CCC1, CCC2, CCC3 Triple C (Very Weak Capacity & Very High Credit Risk) Financial Institutions rated ‘CCC’ are currently vulnerable, and are dependent upon favorable business, financial, and economic conditions to meet its financial commitments. CCC is judged to be of very weak standing and is subject to very high credit risk. CC Double B (Extremely Weak Capacity & Extremely High Credit Risk) Financial Institutions rated ‘CC’ are currently highly vulnerable. CC is highly speculative and is likely in, or very near, default, with some prospect of recovery of principal and interest. C Single C (Near to Default) A ‘C’ rating is assigned that is currently highly vulnerable to nonpayment, obligations that have payment arrearages allowed by the terms of the documents, or obligations of an issuer that is the subject of a bankruptcy petition or similar action which have not experienced a payment default. Among others, the ‘C’ rating may be assigned to subordinated debt, preferred stock or other obligations on which cash payments have been suspended in accordance with the instrument’s terms. C is typically in default, with little prospect for recovery of principal or interest. D (Default) ‘D’ is in default. The ‘D’ rating also will be used upon the filing of a bankruptcy petition or the taking of a similar action if payments on an obligation are jeopardized. GSPB incorporated on October, 1995 and commenced its operation on April, 1996. The Company offers loans and lease finance of all types of plant, machinery, equipment and vehicles both for industrial and commercial use. The authorized capital of the Company was BDT 1,000 million. Domestic shareholders hold 61.82% and foreign shareholders hold 38.18% of paid up capital. The Company also got a separate license from Securities & Exchange Commission (SEC) on August, 1999 for working as a Merchant Bank. GSPB Board took a bold step in line with SEC’s guideline by forming a subsidiary company for merchant banking activities named “GSP Investments Limited” from 2011. The shareholding of this subsidiary company is 51% share held by GSP Finance Company (BD) Ltd. and the remaining 49% held by existing shareholders of GSPB on pro rata basis. The Company was mainly funded by borrowings from other Banks & FIs (66.05%) and by term deposits (33.95%). Of the total borrowings 96.82% was from long term loan. GSPB actively participated in call money market throughout 2010. The Company was net borrower to the call market throughout 2010 except in December. Call money rate picked up in December (avg. rate 33.54%). The Company had assets sensitive position in all the interest sensitive maturity buckets. Company’s total asset was dominated by loans, advances & leases, 55.81% which experienced negative growth in 2010. Company’s credit portfolio was not reasonably diversified in terms of intrinsic and concentration risk. GSPB’s top 20 large loan exposures was 74.79% of total leases, loans & advances (2009:65.88%) and at the end of 2010 six leases & loans facilities were reported as classified (2 in Bad/Loss category). The concentration of investment shows an increasing trend. During this period the investment of the Company increased by 167.35% and the yield of investment was 45.95%. Company invested in capital market through portfolio management by merchant banking wing. GSPB made this entire investment in quoted and unquoted securities. But market value (BDT 123.82 million) of quoted shares of which lower than the cost value (BDT 125.45 million) as on 31st December 2010. In 2010 GSPB’s NPL decreased but it was still 19.77% in 2010 (2009: 22.04%). However, considering the margin loans in leases, loans & advances portfolio, gross NPL ratio reduced to 14.63% in 2010 (2009: 18.38%). Gross NPL reduced on the back of rescheduling (7.41% of total loans) and cash recovery (3.49% of total loans). During this period the Company also managed to reduce fresh NPL generation which was 5.20% of total loans in 2010 (2009:20.31% of total loans). GSPB’s special mention account (SMA) to leases, loans & advances was 12.12% (2009:12.15%). As per Bangladesh Bank regulation the minimum paid up capital of any financial institution should be BDT 500 million by 31 December 2010 against which GSPB had paid up capital of BDT 215.99 million. However, total capital (tier1+tier2) of the Company was BDT 476.32 million in 2010 (2009: BDT 403.28 million). Risk of the expected profit. 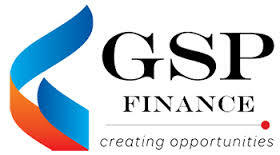 GSP Finance Limited is one of the emerging investment banks and fastest growing financial institutions in Bangladesh. GSPB incorporated on October, 1995 and commenced its operation on April, 1996. The Company offers loans and lease finance of all types of plant, machinery, equipment and vehicles both for industrial and commercial use. The authorized capital of the Company was BDT 1,000 million. Domestic shareholders hold 61.82% and foreign shareholders hold 38.18% of paid up capital. GSP Finance is an entrepreneurial company that prides itself on its speed of through and action. Its ability to make decisions quickly and efficiently and to generate value as an agent and executor sets it apart from all other investment banks and financial institutions in Bangladesh. The company’s strategy is to focus on Bangladesh and to develop a truly global distribution network through the major investment institutions abroad. GSP Finance is dedicated to provide a high level of professional and personalized service to its domestic and international clients. Preferential treatment and superior service to clients is what the company believes to be its ultimate goal. The management team of GSPB is headed by Mr. A.H. Ekbal Hossain, Managing Director. He joined GSPB in June 2009. He worked in senior positions at various banks over the span of his career. Most notably he served as Managing Director of Basic Bank Ltd, Rupali Bank Ltd and Agrani Bank Ltd.
Mr. Hossain is aided by one Executive Director and in charges of different departments. Credit Committee is comprised of 4 members headed by Managing Director. During the year the Committee met 6 times. Asset Liability Management Committee has 4 members chaired by Executive Director. During the year the Committee met 4 times. Purchase Committee has 5 members chaired by Mr. Moin U. Haider, Director of the Board. The Committee has 4 meetings in 2010. Committee on Merchant Banking is comprised of 6 members headed by Mr. Moin U. Haider, Director of the Board. During the year the Committee met 3 times. Management Committee is comprised of 8 members headed by Managing Director. During the year the Committee met 3 times. Recovery Review Committee has 5 members chaired by Col. M. Nurul Islam psc. (Retd.) or in his absence any other Director. The Committee has 6 meetings in 2010. GSPB has a separate HRD & Administration department which is headed by a Manager designated personnel. The Company had total 31 employees. During 2010 at its various departments the Company recruited 9 new employees and 8 employees left the Company. The Company uses both external and internal recruitment channels. When job openings cannot be filled internally, the HRD looks outside the organization through advertising. After recruitment the Company trains fresh employees for few months in various departments and then offers them foundation & other courses conducted by BLFCA, IFC and Bangladesh Bank etc. In order to cater the risk business division has been segregated into (1) Credit & Marketing and (2) Recovery Department. Credit & Marketing Department of the Company generates business as well as they are engaged in exploring and identifying viable clients by way of analyzing the management, market, financial viability and other requisite aspects of proposals incorporating the risk factors involved and identifying mitigating factors. In case of risk assessment the Company follows Credit Risk Grading approach. For approval the credit proposals are sent to the Credit Committee to review but the final approval is given by the Executive Committee of the Board. The Company also has a full- fledged and effective recovery, follow up, collection and monitoring unit for classified Leases & Loans, which is engaged in regular monitoring of clients, to ensure timely collection of installments. Moreover, from 2006 GSPB has a recovery agent named “Multi Promotional Service Ltd.” To monitor the recovery status the department is accountable to the Recovery Committee. GSPB has appointed a software firm Technohaven, which is about to complete the implementation process of the automation and it is expected that the full smooth operation will be in place shortly. With the introduction of the software named TeLis, data will be integrated and data security will be ensured. In the meantime the Company has already installed software of Ingenious Technologies in respect of online availability of data from Bangladesh Bank on CIB. The financial statements of GSPB were audited by chartered accountants firm Kazi Zahir Khan & Co. According to them the financial statements give a true and fair view of the state of the Company’s affairs and comply with the Bangladesh Accounting Standards, the Financial Institution Act 1993, the Companies Act 1994, the Securities and Exchanges Rules 1987, the rules and regulations issued by the BB and other applicable laws and regulations. The Board of GSPB is composed of 11 members who possess a wide range of skills and experience over a range of professional, business and services. Among them 4 members are nominated by their respective institutions. Mr. Feroz U Haider is the Chairman of the Board. Before joining as the Chairman he served as Managing Director of GSPB. Mr. Haider is a renowned international banker with experience in every senior position in financial institutions in South East Asia. During the year 2010 8 board meetings were held. Executive Committee comprised of 5 members headed by the Chairman of the Board. The Committee met 29 times during 2010. Audit Committee of GSPB is comprised of 4 members chaired by Mr. Siraj U Haider, Director of the Board. The Committee mainly reviewed the financial reporting system, compliance regarding security documentation, recommend the Board regarding the delinquent portfolio, reschedule of facilities etc. During the year 2 meetings of the Board were held. Investment income 77.52% of the operating income grew by 4.93 times backed by 167.35% increase in investment. Of the total investment income, BDT 66.86 million (59.69% of operational revenue of Merchant banking unit) was from portfolio management income. Other operating incomes which includes different type of charges, interest from FDR and call loan etc reduced by 39.89%. Operating expenses composed of personnel expenses (about 47.47% of operating expenses), infrastructure cost and other overhead cost. Company’s personnel expenses decreased by 8.37% and other operating expenses reduced by 21.30%. Cost to income ratio was almost stable and staff cost to income ratio increased marginally. GSPB’s pre provision profit decreased by 13.23% and total provision expenses also reduced by 129.97% resulted from lower expenses in specific and general provision. The Company had excess provision in 2009 which eventually helped to reduce the provision expenses in 2010. Therefore, profit before tax increased by 180.66%. During 2010 GSPB’s net interest margin decreased by 5.01 percentage points resulted from 86.71% decrease in net interest income. Return on average assets improved by 1.57 percentage points mainly due to sharp rise in net profit margin backed by higher investment income. In 2010 Company marginally improved its leverage position. Return on average equity also soared by 6.48 percentage points backed by higher growth in profit after tax. In 2010 investment portfolio of the Company reached BDT 125.45 million registering a growth of 167.35%. Company invested in capital market through portfolio management by merchant banking wing. In 2010 the merchant banking wing registered a substantial growth both in terms of client base and size of the fund managed. In 2010 number of client stood 505 (2009:199) and fund managed stood BDT 1,692.32 million (2009: BDT 686.07 million). GSPB made this entire investment in quoted and unquoted securities of 16 different non govt. companies. The market value of quoted shares was BDT 123.82 million against cost value of BDT 125.45 million as on 31st December 2010. The Company made BDT 2.48 million provision against required provision of BDT 1.69 million for fall in market value of securities. During the year Company realized BDT 40.31 million profits from sale of securities. The yield on average investment was 45.95% in 2010 (2009: 15.61%). In 2010 GSPB’s non-performing loans (NPL) decreased to BDT 322.02 million which was BDT 414.94 million in 2009. Gross NPL ratio of the Company was still 19.77% in 2010 (2009: 22.04%). However, considering the margin loans in leases, loans & advances portfolio, gross NPL ratio reduced to 14.63% in 2010 (2009: 18.38%). Gross NPL reduced on the back of BDT 120.75 million (7.41% of total loans) rescheduling and BDT 56.82 million cash recovery (3.49% of total loans). During this period the Company also managed to reduce fresh NPL generation which was 5.20% of total loans in 2010 (2009:20.31% of total loans). Of the total NPL 94.04% belonged to bad & loss category, 5.69% substandard and 0.27% in doubtful. In 2010 required provision was BDT 107.35 million against which GSPB maintained BDT 107.85 million an excess of BDT 0.50 million. Company’s NPL coverage ratio in 2010 was 33.49% (2009:31.62%) and net NPL ratio was 10.37% (2009:13.53%). We looks at pre-provision profit (PPP) to net leases, loans & advances for assessing GSPB’s ability to survive in future problems. In 2010 PPP to net leases, loans & advances was 7.43% which was 7.35% in 2009. PPP to net leases, loans & advances indicate that 7.43% of currently performing leases, loans & advances can be written off without charging on reserves and equity. On the other hand, special mention account (SMA) to leases, loans & advances was 12.12% (2009:12.15%). In 2010 leases, loans & advances reduced by 13.48% and stood at BDT 1,629.12 million. For last two years leases, loans & advances and NPL was highest in transport sector. In 2010, sector wise NPL rate was highest in food & beverage, 64.52% followed by power & energy (53.55%), garments (46.96%) and real estate & housing (39.07%). In 2010 GSPB’s top 20 large loan exposures was BDT 1,218.33 million which was 74.79% of total leases, loans & advances (2009:65.88%). At the end of 2010 six leases & loans facilities were reported as classified (2 in Bad/Loss category). As per Bangladesh Bank regulation the minimum paid up capital of any financial institution should be raised to BDT 500 million within 31st December 2010 against which GSPB had paid up capital of capital of BDT 215.99 million. However, in 2010 total capital (tier1+tier2) of the Company was BDT 476.32 million (2009: BDT 403.28 million). In 2010, shareholder’s equity grew by 11.97% to BDT 707.99 million which was 24.25% of total assets and 43.46% of leases, loans & advances. Capital adequacy ratio increased by 3.25 percentage points due to increase in equity. On the other hand, though the profit after tax increased significantly internal capital generation reduced by 6.83 percentage points resulted from proposed bonus share for the year 2009 and 2010 of BDT 82.07 million. Of the total funds of GSPB 66.05% was generated from borrowings from other Banks & FIs and 33.95% was from term deposits. Of the total borrowings 96.82% was from long term loan, 2.55% was from bank overdraft and 0.63% from BB refinancing. In 2010 for the total borrowings Company has made interest expenses of BDT 160.97 million. Of the total term deposits 63.42% was collected from Banks & FIs, 23.72% from general public and 12.87% from different companies. During 2010 GSPB made BDT 71.25 million interest expenses. In 2010 shareholder’s equity was 38.77% of deposits & borrowings (2009:33.65%). Leases, loans & advances to deposits ratio of the Company was 262.81% at the end of 2010 (2009: 277.37%). GSPB actively participated in call money market throughout 2010. The Company was net borrower to the call market throughout 2010 except in December. Call money rate picked up in December (avg. rate 33.54%). In December the average lending rate of the Company was 40.50% whereas throughout the year Company’s borrowing rate ranged from 6.09%-23.27%. The Company’s asset liability maturity bucket shows that GSPB possessed positive net liquidity gap in all the buckets except 1-5 years bucket. But the cumulative liquidity gap offset the negative gap. In 2010 liquid assets to total deposit & borrowings were 10.72% (2009: 5.37%). In 2010 the Company did not have any off balance sheet exposures but in 2009 it had an off balance sheet exposure in letter of guarantee of BDT 50 million. Collect financial information for a sample of comparable firms, because credit rating cannot be done in isolation but can be done only relative to comparable firms. In this case we have collected data for comparable firms from NBFI’s industry. Compute important financial ratios and compare them across firms in different rating categories. Assign Score based on regression estimates. Here we fit the regression equation using credit rating as a dependent variables and ratios as independent variables. We have assigned the long term rating of GSP Finance Company (Bangladesh) Limited (hereinafter called as “GSPB” or “the Company”) to “A2”. We performed the rating based on financial statements up to 31st December 2010 and other relevant information. Financial Institutions rated ‘A2’ have strong capacity to meet its financial commitments but is somewhat more susceptible to the adverse effects of changes in circumstances and economic conditions than financial institutions in higher-rated categories. “A2” is judged to be of high quality and are subject to low credit risk. Rep of Karnaphuli Industries Ltd.
Rep of Tai Ping Asian Investment Ltd.
Rep of SF Haider Foundation Ltd.
Rep of Amber Hll Global Resources Ltd.
Average Assets, Average investment assets, Average Earning Assets and Average equity are calculated on the basis of opening and year end balances. Interest Earning Assets include total loans, advances & leases, money at call & short notice, balance with other FIs & banks. Net Loans Advances & Leases has been calculated by deducting Specific Provision and Interest Suspense Accounts from Gross Loans Advances & Leases. Net Interest Margin = Net interest income / Average Interest Earning Assets.